Techies who follow the news have no doubt heard that Michael Dell has partnered with Silver Lake to take the computer company bearing his name private. Dell is in a tough spot right now, and it’s good that Mr. Dell is trying to salvage the company that he started in a college dorm room and turned into a powerhouse of PC manufacturing. Nobody’s made a better desktop machine than this. Dell’s initial claim to fame was build-to-order, high quality, competitively priced computers. Things really heated up for Dell when Windows 95 and Windows NT 4 transformed the way PC’s were sold into enterprise. Dell was on the spot with extremely high quality, very innovative corporate PC’s like the Optiplex line. 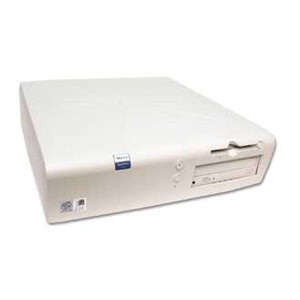 In 1997, I was working in IT and the only computers I wanted to use were the Optiplex machines. They were solid as a rock and incredibly easy to service. They had a hinged case that opened with no screwdriver required. Processor and memory were tucked neatly under a hinged power supply. All the expansion cards were in a detachable carriage that also took no screws to remove. Nobody has made a computer so easy to work on since, not even Dell. I had one of those Optiplex machines powered on for 6 years straight acting as a web server, and I still have it. It still works. Dell must have garnered a considerable amount of loyalty amongst IT people like me, who must have proceeded to recommend Dell products to less computer-savvy people. Sadly, Dell would spend a whole decade squandering that loyalty, putting a lot of us recommenders in a tight spot. Those of us who bought Dell machines for ourselves were also caught with egg on our faces. When it came to building computers for business, Dell never really messed up too much. But their failure to build anything of quality for the consumer market, especially in the laptop form factor, didn’t make them any friends in the ’00s. Loading up the machines with tons of so-called “crapware” didn’t help, either. Their OS images were in many cases not very well tested. By 2010, under almost no circumstances would I have recommended Dell products to anyone. All this, without mentioning Dell’s ill-advised forays into smart phones, media players, and the like. 1. Computers aren’t dead. People still need them. Lots of people still want them. Build only solid, well-tested portable machines with rock solid no-BS OS installs, and take them on the road to show the people who are still buying computers. What’s not accounted for in this talk of “post-PC” this and that and the other thing is that a considerable percentage of people still rely on computers for lots and lots of tasks. Computers aren’t going away. Macs attracted such a large share of the market of people still buying computers because they are innovative, high-quality, and no BS. Don’t copy the Mac, but build an innovative, high-quality, no BS computer, and make sure everybody knows about it. Now that consumer desires are driving corporate IT, make a computer that appeals to the former and is engineered to withstand the needs of the latter. Take Microsoft at their word. The Surface is a signal to the market of what is possible to build. A considerable share of people’s “computer use” outside of getting things done will be on tablets. So build a great one. And make sure everyone knows it. Let’s assume you can do these two things I am suggesting and that you’re not having any trouble also doing servers, storage, consulting services, workstations and desktops for enterprise. Take a step back and marvel at all the things you’re doing. If you can recapture your formerly unparalleled reputation for mass-market quality, you’ll be in a strong position. The people in the back of the house will like the same stuff that the people in the front of the house are demanding. I’m probably not alone in wanting to see Dell make a comeback. Whatever the company ends up doing, it will start with winning the hearts and minds of the right people, and not squandering that goodwill again. Good luck. « What’s going on in Africa?